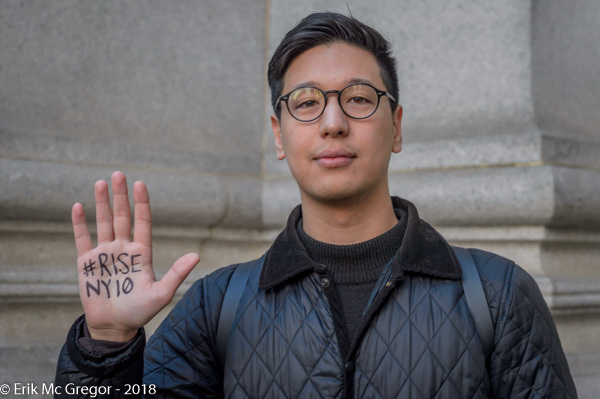 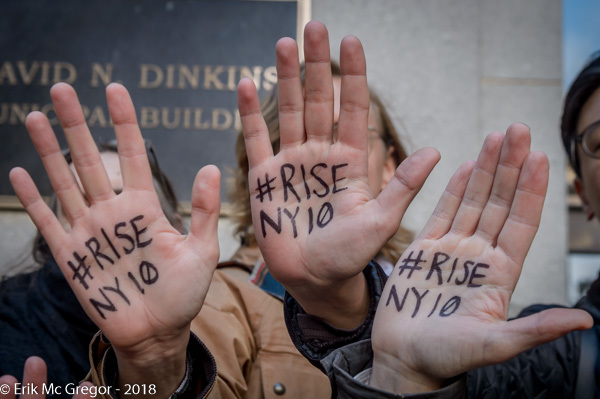 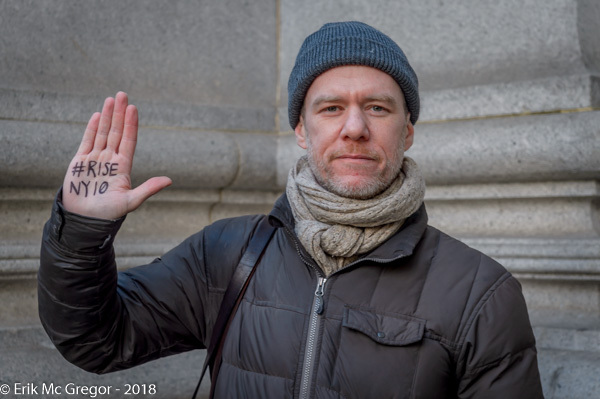 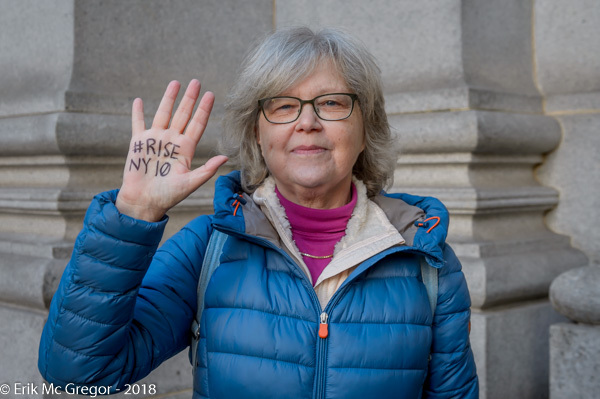 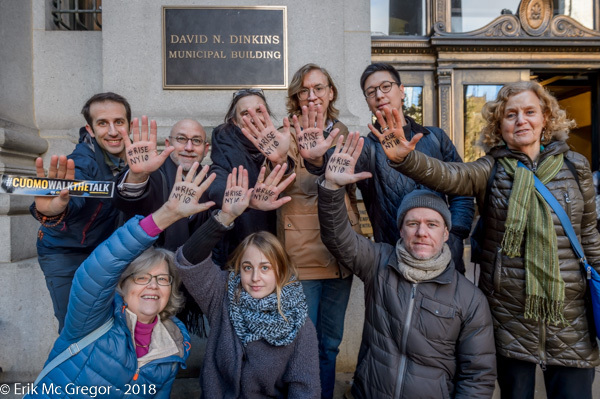 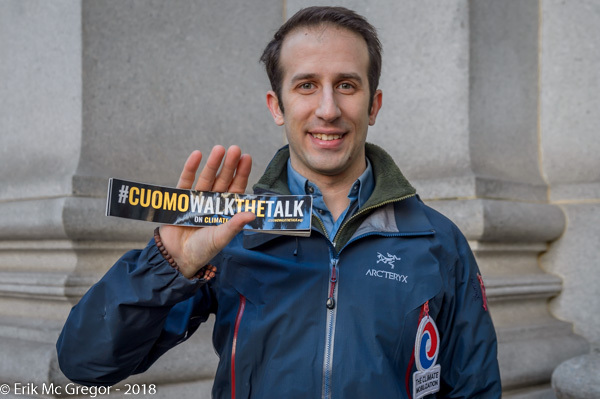 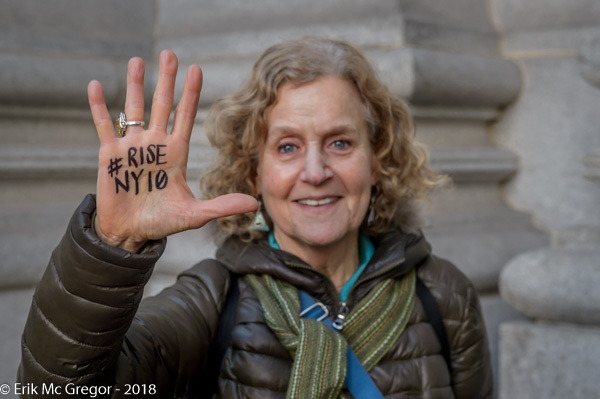 New York, NY – The ten brave climate activists blockading the NYC street leading to Governor Cuomo’s office on September 7, 2018, to address climate inaction on fossil fuels infrastructure build out, slow move to renewables and lack of aggressive climate legislation faced the judge in NYC court on November 27, 2018. 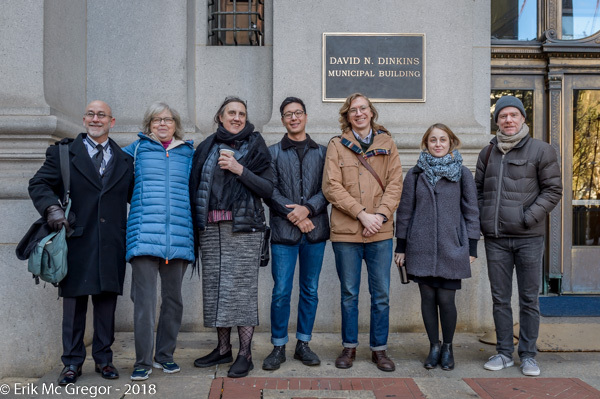 Prior to court, they held a Climate Press Conference to address the media about why they took action and where we need to go. 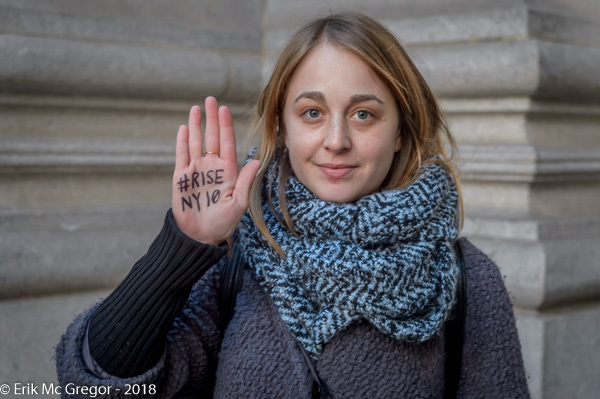 (3) making corporate polluters pay. 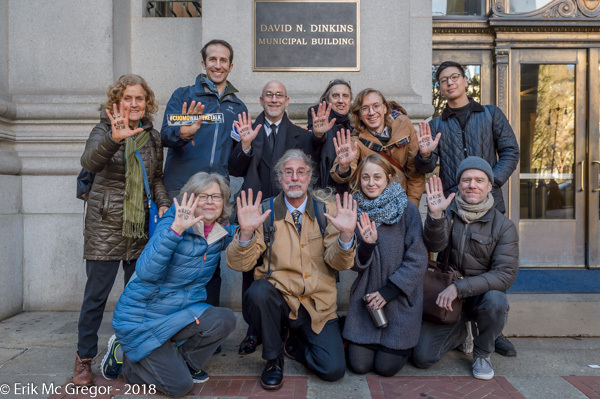 The group vows to continue action until all of their demands are met in lieu of the recent IPCC report issued from 133 Contributing authors, over 6,000 cited references, a total of 42,001 expert and government review comments that we have just 12 years to address climate before global climate catastrophe is a certainty. 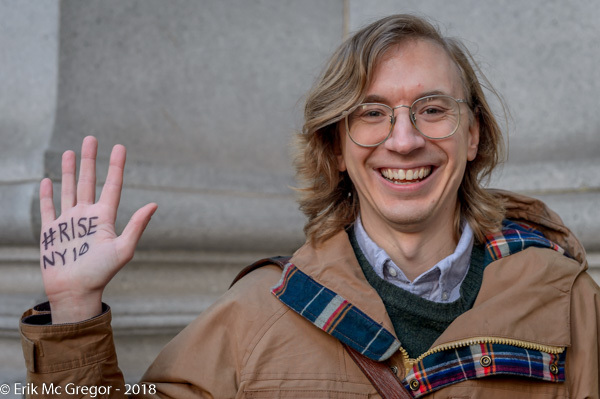 Their charges were adjourned in the contemplation of dismissal in six months, and were represented by attorney Ron Kuby.